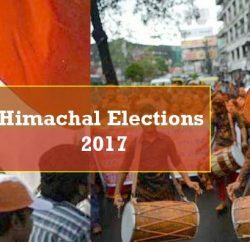 Protesting against Himachal Pradesh Chief Minister Virbhadra Singh and demanding his resignation over graft charges, the opposition BJP started a week-long ‘Virbhadra Hatao, Pradesh Bachao’ campaign in various parts of the state. It would be held in all district headquarters in phases. BJP state president Satpal Satti participated in a demonstration in the Shimla, whereas leader of opposition Prem Kumar Dhumal led the protest in Hamirpur town. Former Chief Minister, while addressing the party workers asked Virbhadra Singh to resign till he came out clean from corruption charges. He said that if Virbhadra Singh did not resign, the BJP would go to the president and the state governor and would ask for CBI probe. 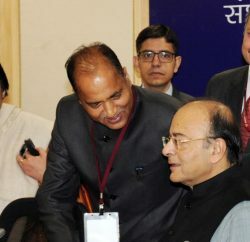 Earlier, Arun Dhumal, younger son of Prem Kumar Dhumal and Arun Jaitley have leveled corruption charges against Virbhadra Singh and demanded immediate resignation from him. They blamed HP Chief Minister for granting favour to Power Company, in which CM’s family has substantial share holdings. They also accused Singh and his parliamentarian wife for hiding income and submitting false affidavit before election commission. However, the Chief Minister has denied the allegations and said these were politically motivated. He stated to ready for any probe and even declared to quit politics if any of BJP’s allegations proved correct.